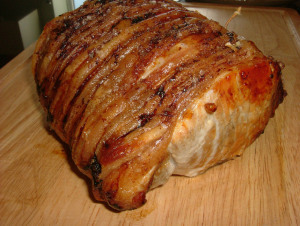 This evening I cooked the remaining half of the fabulous loin of Irish pork kindly sent to me by Bord Bia. I decided to cook a traditional sunday roast with rich cider gravy, served with oven baked carrots and potato and spring onion croquettes. 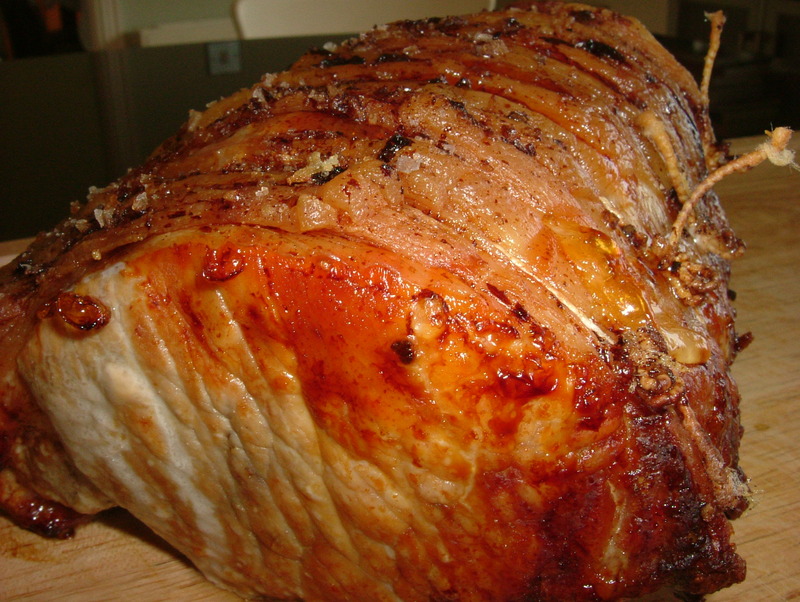 Remove pork from fridge around half an hour before cooking. Boil the kettle and preheat the oven to 180ºC. 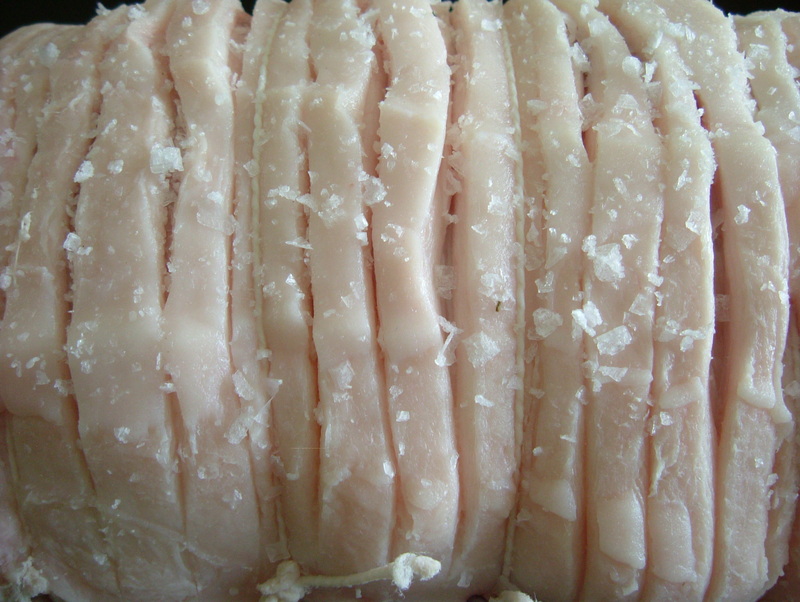 Score the skin of the pork in with a sharp knife. Pour the boiling water in to a dish and place the pork skin-side down in the dish for a half a minute or so. 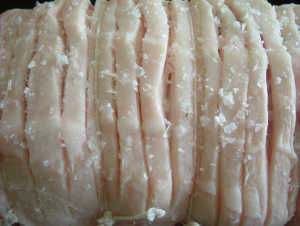 Remove to a chopping board and dry the skin thoroughly using kitchen paper – making sure to get between the scored skin. Rub a large pinch of coarse sea salt in to the skin. Place the onions, topped with sage leaves, in a flat layer in a roasting tray, then place the pork on top of the onions, skin side up. Place in the oven and roast for approx. 1¼ hours, until cooked through. When the roast is cooked remove the pork from the tray and allow to rest. Drain off any fat from the roasting tray and then place it on a medium heat on the hob (make sure your tray is suitable for this). Sprinkle the onions with the flour, then use a wooden or silicone spoon to mix the flour in to the onions and meat juices for a minute. 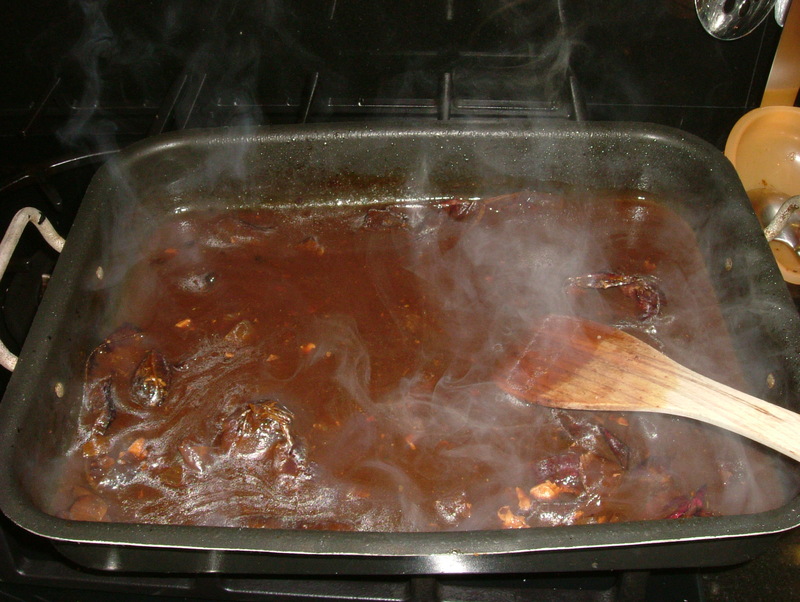 Add the cider and stir thoroughly, scraping up any sticky meat from the bottom of the tray. Allow to simmer for 5 minutes, stirring frequently and then add the water and simmer for another 5 minutes to thicken. Season the gravy with salt and pepper and then strain through a sieve before serving. Homemade Sausages with Cider & Mustard GravyIn "Dinner"
Irish Loin of Pork - Char Siu StyleIn "Dinner"
Just wondering what’s the thinking behind putting the pork in the water for the minute or so? 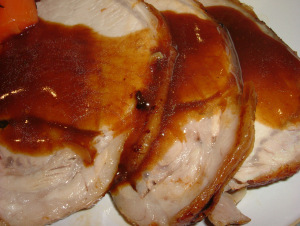 I am cooking my huge pork rack tomorrow night – still not quite sure what I’m going to do with it but this recipe looks close to what I’m looking for. Yum! Hi Aoife. Thanks for popping over! Rack sounds yum – fabulous pork indeed. Can’t wait to hear how you get on with it!